Energy Automation Systems is known as one of the leading providers of energy efficient solutions in the US. Currently, this well reputed company is offering dealership opportunities for eligible entrepreneurs. By the virtue of hard work and innovation, this company has already carved a niche in providing new machinery for energy saving technologies to large industrial and commercial customers. Quite naturally, its business opportunity is both rewarding and profitable. Moreover, Energy Automation Systems continuously upgrades its range of solutions, enhancing the energy efficiency of client organizations. Their energy conservation methods address all the major load groups that use electricity. Being single turnkey vendor, Energy Automation Systems simplifies energy automation solutions for corporate clients. Undoubtedly, one of their dealerships can pave the way to a successful entrepreneurial career. To help you take advantage of this opportunity, we explore Energy Automation Systems’ business opportunity in detail. Based in Hendersonville, TN, Energy Automation Systems excels in providing energy efficient technological solutions to industrial and commercial customers. With more than 30 years of experience in this field, the company helps commercial, industrial and manufacturing facilities to reduce energy expenditure. Plus, it enables large enterprises and commercial facilities to save money on electrical systems so that money can go to something more beneficial for business, like searching domain availability. What’s more, Energy Automation Systems has served thousands of companies across the world, reducing their energy costs by 30%. Founded in 1978, Energy Automation Systems now serves many of the Fortune 500 companies like General Electric, British Petroleum, ConAgra, Kraft and C.R.Bard. Regardless of facility size, Energy Automation Systems provides customized solutions to make common lighting, HVAC, manufacturing and electrical systems energy efficient. In addition, the energy company trains and supports its independent authorized affiliates all over the world. As you can see, Energy Automation Systems addresses the energy efficiency requirements of businesses worldwide. In its endeavor to serve large multi-site industrial and commercial customers, Energy Automation Systems provides turnkey, fixed price solutions. Moreover, they developed Energy Conservation Measures to equally focusing on all major load groups including motors, lighting, HVAC, air compressors and refrigerators. Another benefit of their energy saving technology is 10%-30% annual savings using business automation. Plus, the clients can gain back money spent on energy efficient technologies within 2-3 years through energy cost savings. Additionally, Energy Automation Systems offers guaranteed savings underwritten by A-rated insurance carrier. All in all, the innovative solutions delivered by Energy Automation Systems control energy costs without creating any disruptions at the workplace. Energy Automation Systems offers consumers the benefit of servicing all different types of facilities. The company offers their services to both commercial and manufacturing facilities. In addition, their services are made available to industrial facilities as well. This means that no matter what type of business you operate, you can benefit from their services to help you cut costs and save money on your electrical systems. This is a benefit that not many other energy companies share. That is why it makes Energy Automation Systems so special. Energy Automation Systems’ dealership system affiliates entrepreneurs to serve clients on their behalf. Since the company extends comprehensive support to their affiliates, they do not struggle on their own. Being one of the most experienced companies in the field of energy conservation, they provide excellent training to each new dealer. You do not have to be an expert in the handyman business to understand the company’s solutions. Each dealer gets access to the advanced systems and technologies of Energy Automation Systems. On top of that, they can utilize Energy Automation System’s marketing program. With Energy Automation Systems, you can certainly run your own business. What You Can Offer To Customers? As an affiliated dealer of Energy Automation Systems, you will be offering genuine solutions to reduce electricity bills to clients. With each deal, you will give them guaranteed cost saving opportunity. Every Energy Automation System Dealer is trained to break down each client’s electric consumption, providing details of different load costs. Plus, each client receives a lifetime warranty on energy efficient technologies they purchase. 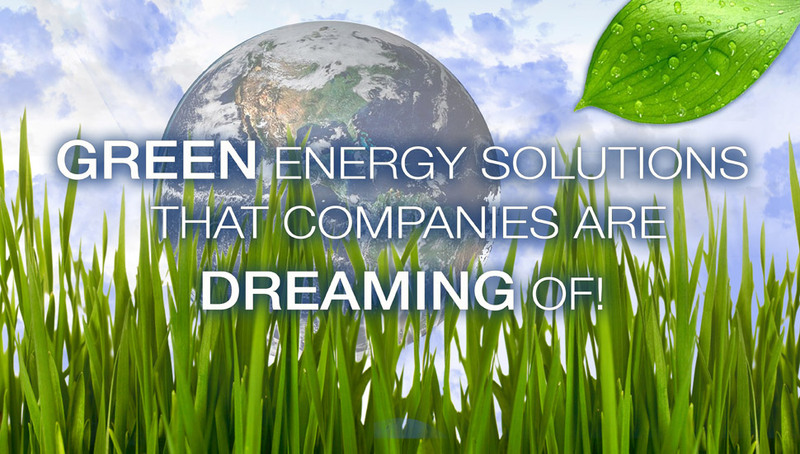 Above all, you will enable corporate and commercial clients to lower their carbon footprint. In order to get a dealership, you will have to pay an one time fee of $59,000 USD. Here, it is necessary to mention that Energy Automation Systems does not charge any royalty or annual licensing costs, similar to Line Systems. Military veterans can even get a discount of $10,000 on the one time fee. Charging only the upfront cost, this dealership opportunity is cheaper than the traditional franchise costs model. Thanks to the low startup costs and even lower overhead costs, you can experience top sales performance and therefore incredible profits. Who does not want to benefit from quick wins like those offered by Energy Automation Systems? The systems sold by EASI dealers average around $100,000 per sale. And because you do not purchase any stock inventory or pay for a store front or additional employees, you can make around 50% of that sale amount in profit! This is an excellent opportunity to earn a lot of money in a few transactions, leaving you time to enjoy your life. Energy Automation Systems is offering entrepreneurs a highly rewarding opportunity to become an affiliated dealer. Upon becoming an affiliated dealer, you will get sales, marketing and technical support, all without having to attend a single trade show event. The reasonable one time fee and comprehensive range of solutions make Energy Automation System’s dealership opportunity even more attractive.